The Øresund Strait connects Copenhagen Harbour to the Baltic Sea, and in the month of April the water flowing through it rests just below six degrees Celsius. That’s 42 degrees Fahrenheit, or nearly the temperature inside your refrigerator. I know because I looked it up. 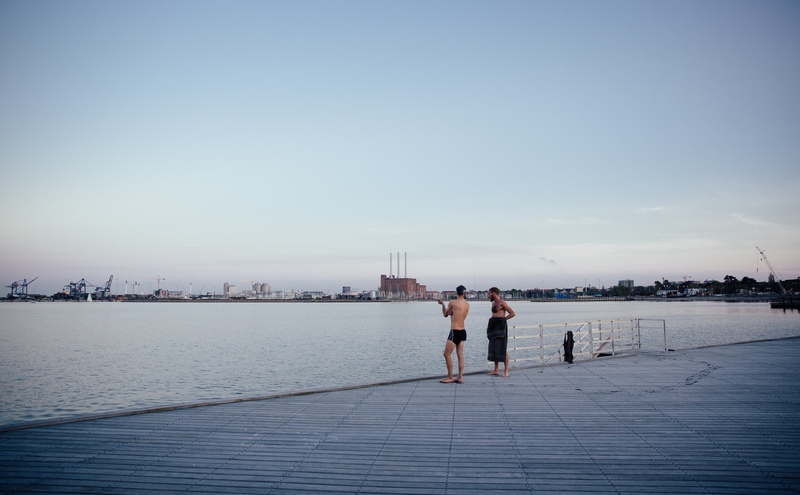 I had been invited, or rather invited myself, to join one of Denmark’s most celebrated chefs on a swim in the Baltic, and I needed to know what I was getting into. I’d read about Mikkel Karstad in a magazine article where he talked about work, fatherhood and balance. As chef for the Danish Parliament and then as part of the original team at NOMA, Mikkel was considered one of the fathers of New Nordic cuisine. 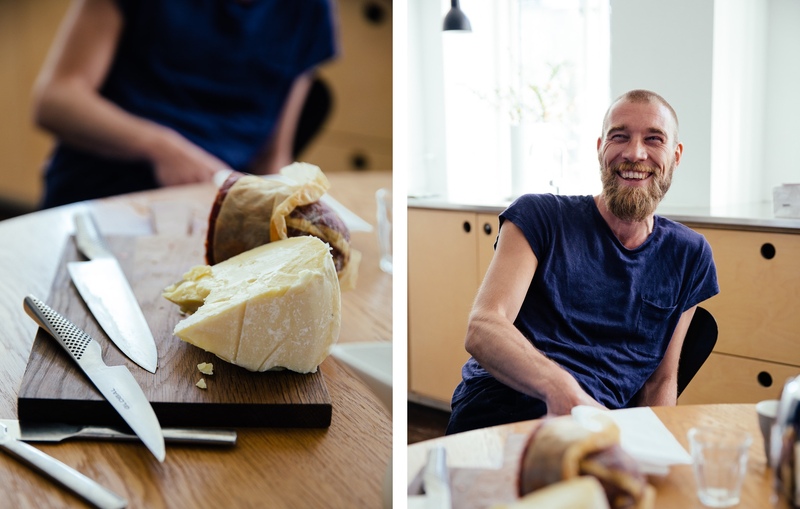 His simple, masculine approach to food styling was finding an audience, he was finishing a new cookbook and running the award-winning canteen at a Danish law firm. At home, he and his wife Camilla were raising four young kids. 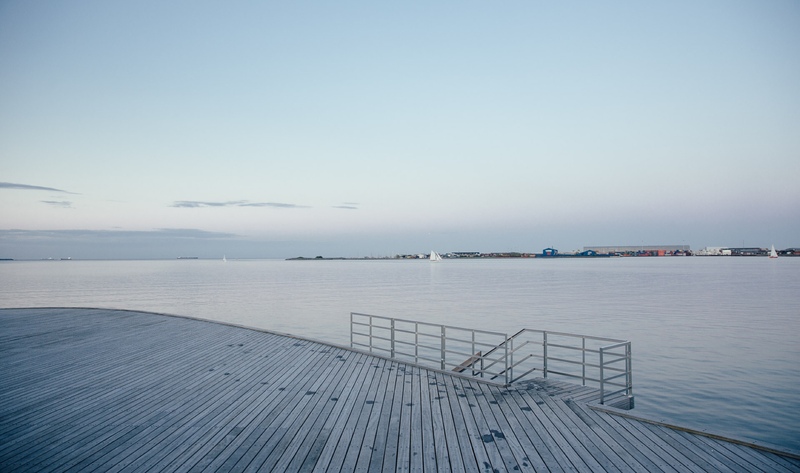 In the article, Mikkel talked about the ritual of a morning swim in the cold waters of Copenhagen Harbour, how the practice helped clear his mind and bring peace. 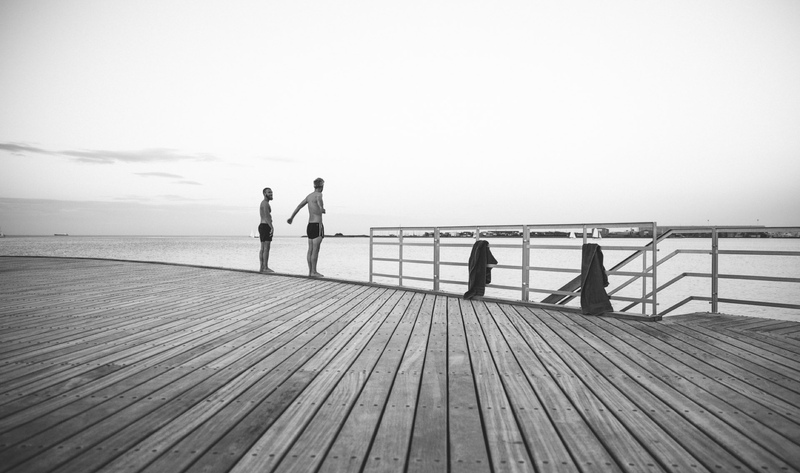 He would start his day, in all months and all weather, standing on the cold planks of a jetty in Nordhavnen. The clear, dark water below, the chill of the air, the tough decision, a broad dive and rush of cold, a few strokes out into the harbour and then off to work. There was something intriguing in his clear tone and simple explanation and I wanted to know more. So I sent him an email and asked if I could join him for a swim. 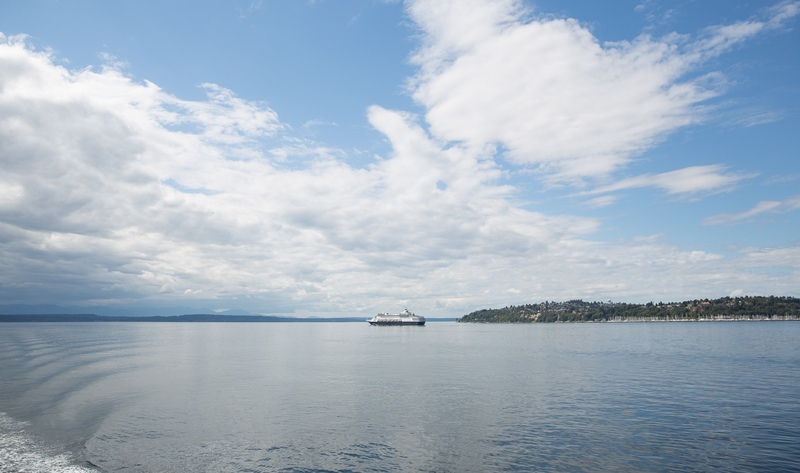 The waters of the Puget Sound that wash the shores of Seattle, where we live, follow the North Pacific current. This swirl is part of a system that cycles seawater from the ice of the Arctic past northern Asia, over to the West Coast of North America and back up to the Arctic. It is always cold. In April, it’s close enough to the temperature of the Øresund Strait that I was pretty sure I could handle joining Mikkel in Copenhagen. My winter swims may have been less frequent, but I’d spent my share of time standing on the edge of a freezing body of water, hugging my chest and trying to summon the courage to jump. 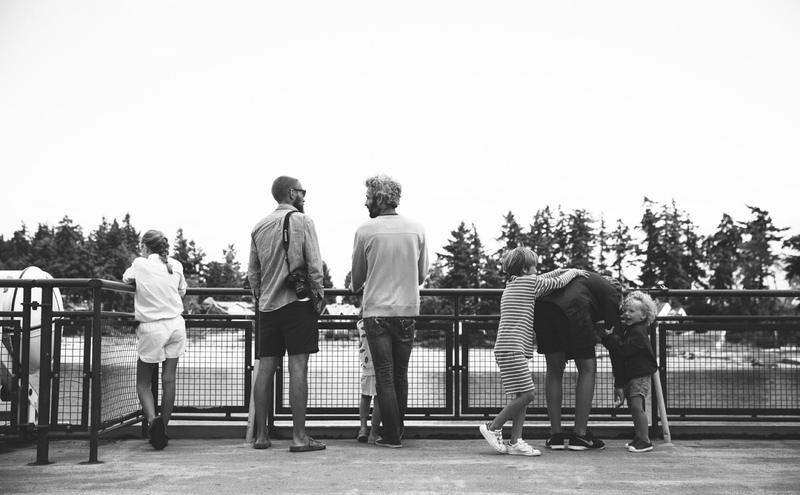 A few years ago I realized that, from the freezing swims of my Canadian childhood to my adult dips in the Pacific, I could not find one occasion I regretted. Since then each chilly opportunity has been, though not easily, inevitably realized. As we rode our rented bicycles across the Sortedams Sø the air was cool and fresh with rain. We were on our way to coffee with Mikkel, Camilla and the family in their home in Norrebro. The response to my email had been kind. Later, though, Mikkel told me the request was a bit strange to him, that it’s not so normal in Denmark to connect with people in such random ways, to invite complete strangers into your home. 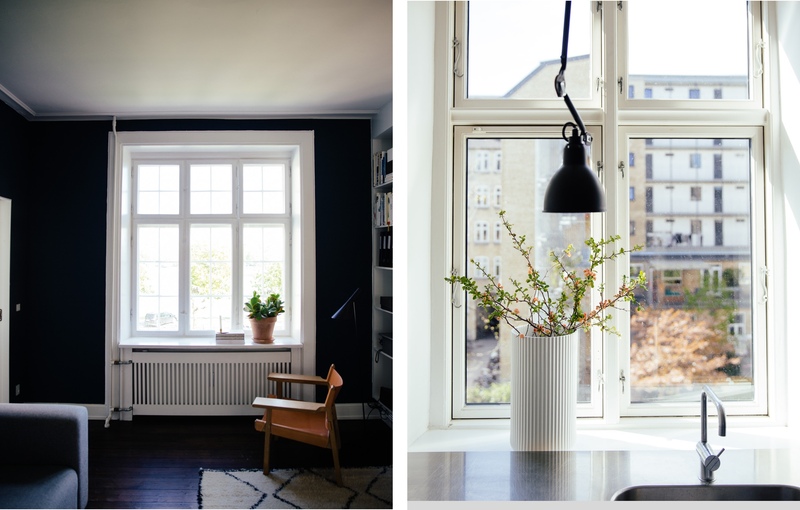 In the country that celebrates cloistered coziness (the beloved Danish “hygge”), where winters are long and dark and home interiors become sacred spaces, community and neighborliness are intentional and selective. With my email I was riding the line of imposition. Most Danes, Mikkel told me, would have said no. 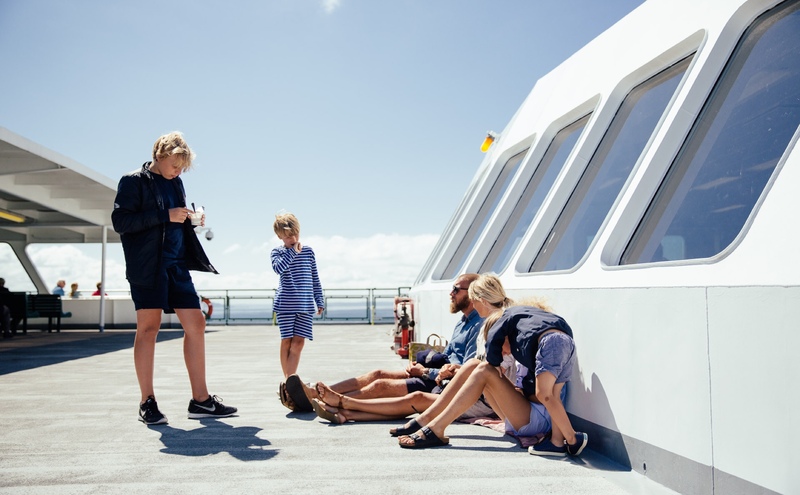 Mikkel, Camilla and their four children were scattered around the sunny kitchen, one sitting on a countertop, two at chairs and little Viggo in his mother’s lap. All blond, rosy-cheeked and all smiling at us. It’s impossible for Mikkel to make a bad looking snack. Heavy, seeded Danish bread, slices of cured meat and the good sweet Danish cheeses covered the table. Perfect plates, effortlessly at random. Every element on the table had a story: made by hand, the butcher they know, a new twist on tradition, the best in the city. The coffee was strong and perfect. The family looked expectant, curious. We gulped our coffee and smiled back. 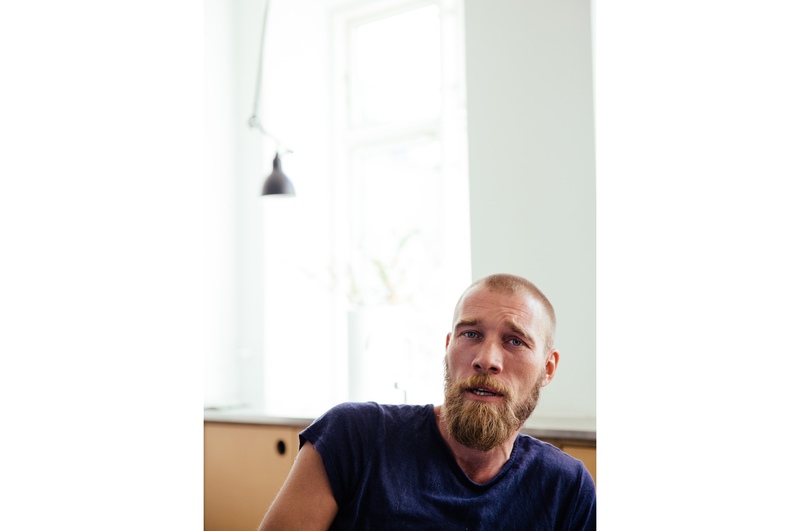 There’s a scar that runs along the right side of Mikkel’s face, from his close-cropped hair to the beginning of his long, shaped beard. His face is serious and thoughtful, his eyes sharp. He could be staring out of a painting from another time, a stoic figure surveying a battlefield, or, I suppose it must be said, a Viking on the ship’s prow, looking into the mist. The scar, he told me, is from a skiing accident in his younger years, but it’s easy to imagine it came from an ancient battleax, or a fight with a bear over a trove of wild honey. He’s quiet and thoughtful, and says only what he intends. And when he smiles he does it on purpose. The next evening we stood next to each other on the long planks of the jetty, both in navy blue swimsuits. Mikkel told me about the industrial history of the area, the path of the current and the water quality and salinity. 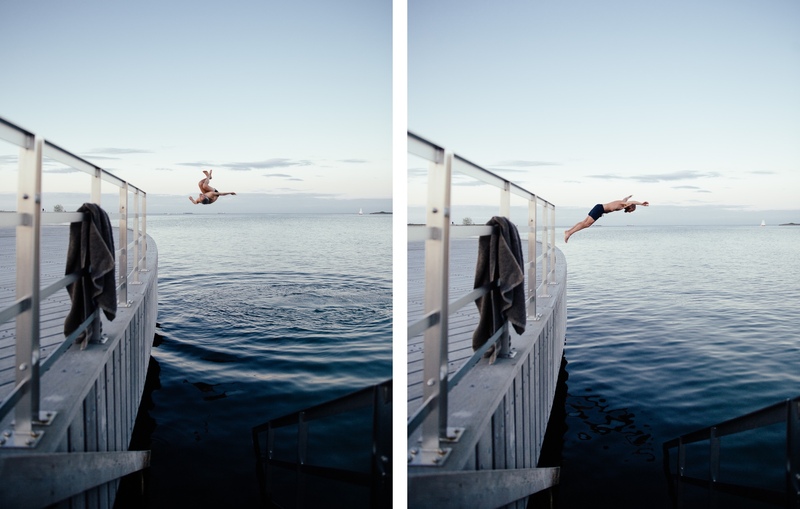 I’d swum the day prior, a swan dive from the bow of the renovated Dutch canal boat where we were staying in the old shipbuilding district of Refshaleøen. Our host had described the cleanup of the area following the bankruptcy of the shipbuilder in the 90’s. He’d assured me the water was clean enough to drink, were it not too salty. The same was true here, Mikkel agreed. In the fading grey of daylight you could see some distance into the dark water, a six-foot drop from the jetty. The stony slate of the bottom was clear below us. Looking ahead the smooth blue darkened as it stretched out towards the Baltic. Mikkel and I love cold swimming for the same reasons. And we have the same disinterest in defining ourselves by it. No logging of miles swum, quantifying the technical impact on the body, joining clubs of firm-bodied polar bears. Neither of us wears a speedo with “Cold Enough For Ya?” written on it, in English or in Danish. Cold swims simply feel good. And that is enough. There was more conversation, then a simple silence that matched the scene. A look and a nod. Mikkel went first; it was his swim. An arcing, practiced dive. Not fussy, but practical and present. I went for a running one-footed forward backflip that looked a bit like a confused duck taking buckshot mid-flight. Inelegant and immediately regretted. The water was brilliantly cold. Once in, the fraternity of the dock took on a different tone. A cold swim is a solitary thing, I thought as I twisted underwater and stared up, past the surface to the darkening sky. Too much talk or eye contact ruins it. It’s a shared experience but under the water you are very much alone. Back on the dock, with the cool air pulling out the goose bumps, we talked and laughed. A paradox of cold swims is that immediately afterwards you feel much warmer. Blood vessels flush, endorphins and adrenalin work to carry the body across the pain threshold. Breath comes in deep gulps. Fear faced, you know exactly how cold the water is and you don’t have to go back in unless there’s a really good reason, like a lost wedding ring or the need to redeem a backflop. The second time I went for a smooth, tucked dive. 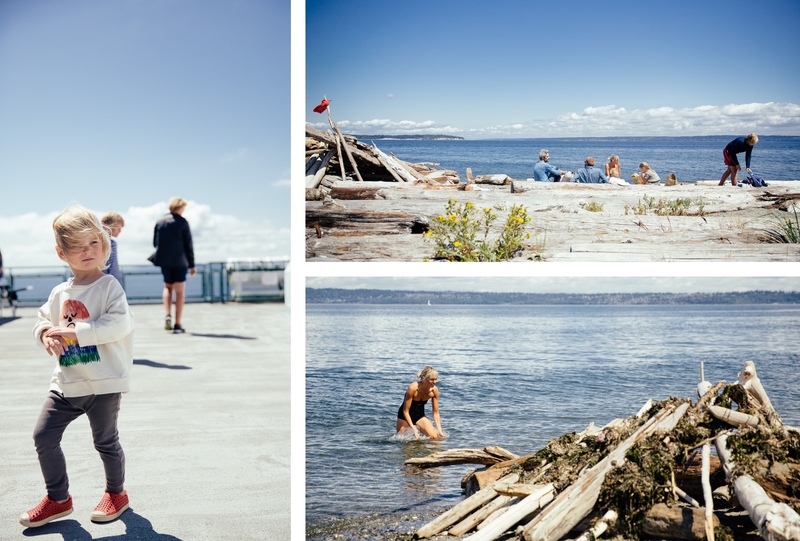 A few months later we again stood next to each other, staring at another cold stretch of water, the Puget Sound, which brings fishermen home from Alaska, back to the crowded marinas of Ballard in our corner of Seattle. 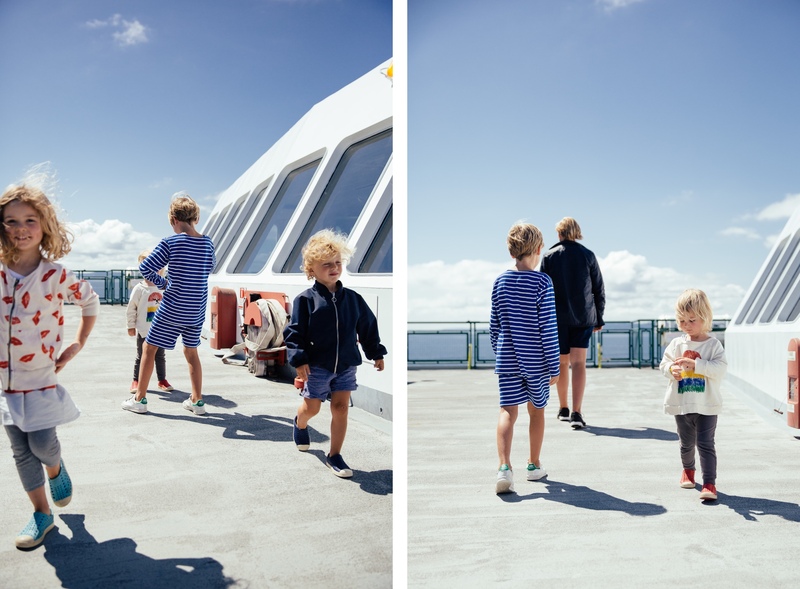 This time the sun was shining and our children surrounded us. The water was still achingly cold. During that first swim we’d formed a rich but inconvenient friendship. 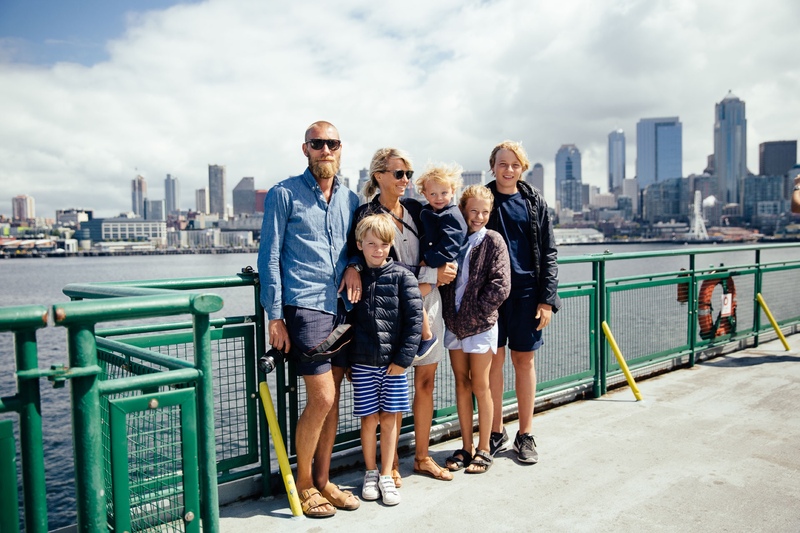 It’s a long way from Copenhagen to Seattle and Mikkel and I have more differences than sameness. But the things we share are the right things. We had stayed in touch and here he was, with Camilla and the kids. 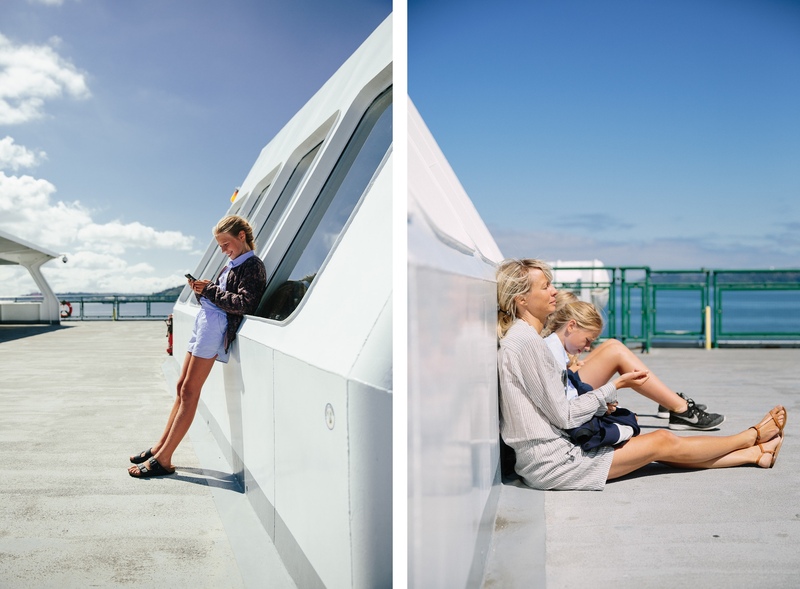 We sat on the beach, picnicking on cured meat, fresh goat cheese and spicy greens we’d gathered from the farmer’s market, and talked about what connects us, family, the bigness of the world and how changing technology makes new connections possible. We talked about how you can know from something as strange as a shared love of cold water that there is a friendship out there just waiting for us to say yes to it. Then we took another swim. My friend, we’ll swim together again soon!